The surgery is open Monday to Saturday at the times shown below. Surgeries are by appointment and run at various times during the day. If you wish to speak to the office staff, make an appointment, or have a non-emergency question for one of the vets please call during these hours. When arranging an appointment, please tell the receptionist if you prefer to see a particular vet. The surgery is closed on bank holidays, Christmas day, New Years day, Good Friday and Easter Monday. There is always at vet on call. Originally established nearly 50 fifty years ago by Mr Eric Taylor at 52 Friar Street, Sudbury. 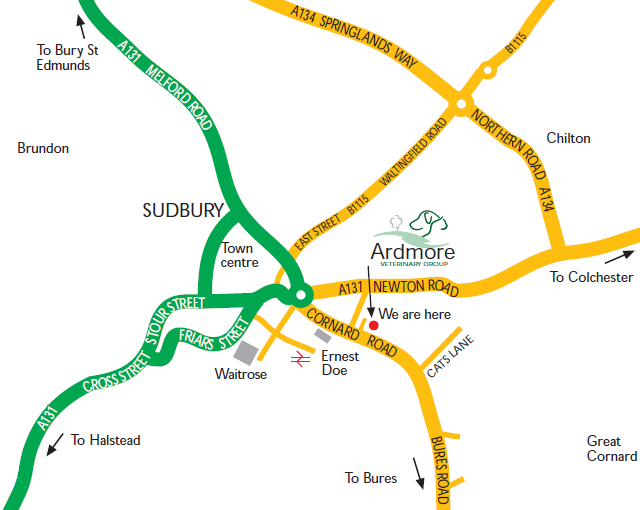 The practice moved to its current premises at Ardmore House, 57 Cornard Road, Sudbury in the mid 1960s where it continued to expand as a mixed rural practice. 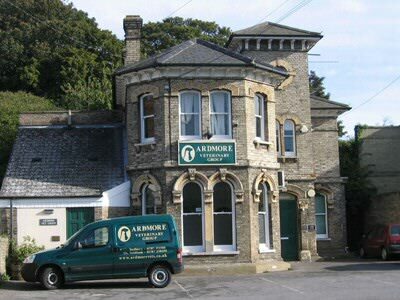 The name changed as the partnership progressed, from Taylor and Hogger, to Taylor and Lees and finally in 1998 to the Ardmore Veterinary Group. The current clinical team consists of five veterinary surgeons, four trained nurses and three student nurses plus support staff. All work together to provide a 24 hour, 7 day a-week, 365 days a year caring, complete companion animal service to the highest clinical standard. Coming down Cornard Road from town centre the practice is on the left hand side after the petrol station and Ernest Does.